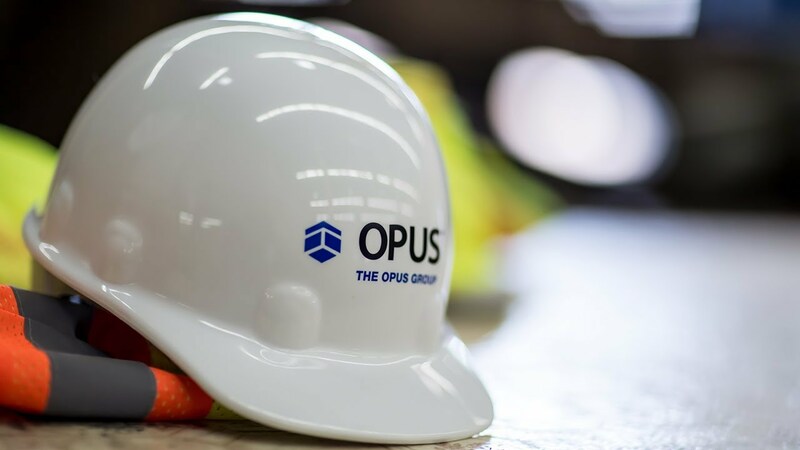 ​“Safety First” isn’t just a catchphrase at Minnetonka-based The Opus Group, it’s built into the company’s culture and a key component of its everyday operations. The company recognizes that safety cannot be in the background. “Safety has to be in the foreground of all things we do at all of the different levels of the organization,” he says. How does Opus promote safety as part of its culture? “Our leaders are involved in safety committees, safety meetings and safety stand-downs and they even observe and participate in periodic safety walk-throughs,” says Jeff Walker, director of operations at Opus Design Build, L.L.C. “And what I mean by leaders – that’s not only our superintendents and foremen on our job sites – that’s our project managers all the way up to the presidents of our company. Dave Bangasser, Tim Murnane and Dave Menke go out to our job sites periodically and attend the monthly safety meetings. Tim, for example, has been out to job sites at 6:30 a.m. safety meetings with all the folks on-site and shared what safety means to him." “We really believe strongly that our safety culture starts at the top with our leaders and from there extends to the folks that are actually the boots-on-the-ground doing the work on the job site,” Walker adds. Project update meetings routinely include an item on the agenda that addresses safety, Rauenhorst says. Opus is committed to providing consistent safety training to ensure that each job site superintendent receives OSHA certified training. “Also, if there’s a situation on a project that requires a unique fall protection system or has a unique condition where there’s a potential safety concern, we will do specific training to accommodate that unique circumstance to try to ensure that our associates are knowledgeable about safe working practices,” Walker says. At project close-out meetings, Opus recognizes and celebrates successful safety records on each construction project. Opus continually strives for new construction practices that can help keep workers and the general public safer. For example, the company recently implemented tool tethering technology to make working from heights safer for those doing the work and those on the ground. Tool tethering technologies protect workers and the general public from the potential dangers of unsecured tools without hindering productivity. They’re designed to secure a wide range of tools, including hammers, pry bars, hard hats and knives. Silica is in the dust created from grinding or sawing concrete and has been proven to be cancer-causing, not unlike asbestos, Walker explains. Opus’ safety program recently received the LECET Safety Driven Award of Excellence. LECET is the Minnesota Laborers-Employers Cooperation and Education Trust. To be considered for the award, contractors must have achieved a minimum number of safety points per program rules, such as improving documentation, making safety equipment or procedural improvements, hosting dedicated safety meetings or sharing best practices. Opus was one of 36 Minnesota contractors to receive the award. Opus also was recently awarded MNSHARP certifications at two high-profile projects – Oxbō Luxury Apartments in St. Paul and the 365 Nicollet Luxury Apartments in Minneapolis. The Minnesota Safety and Health Achievement Recognition Program (MNSHARP) certifications are for outstanding job site safety and health practices. Both of Opus’ projects met the stringent requirements for the certification program. A prior Opus entity received the first-ever MNSHARP certification in the early 2000s for the Medtronic Cardiac Rhythm Disease Management campus in Mounds View. This article originally appeared in the Minnesota Commercial Association of Realtors e-newsletter.